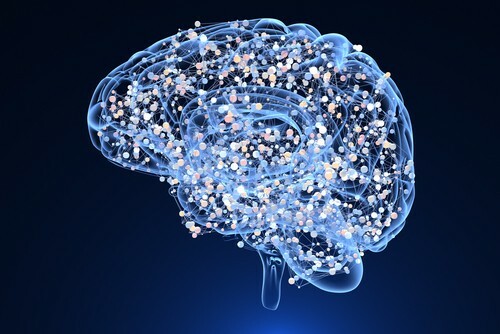 Gemma Calzada News :: The Brain Microbiome: a new discovery with important potential implications on brain health? The Brain Microbiome: a new discovery with important potential implications on brain health? We already know about the gut microbiome or gut flora - the population of bacteria and other microbes that live in our gut. Recently, Dr. Marco Ruggiero has started to study the brain microbiome - the microbes that live in our brain, and the impact of those microbes on the function of the human brain. Continue reading The Brain Microbiome: a new discovery with important potential implications on brain health? Dr. Marco Ruggiero gave a very interesting webinar called “The Brain Microbiome” last February 2018. He introduced some very new ideas in the area of medicine; some of which I will explain to you in this post. First of all he coined the concept of “The Fourth Brain” . The first brain is the one we all know about, which is located inside the skull. The second brain is the Enteric Nervous System, a network of neurons that lines the entire digestive track. It causes the sensation of nervous butterflies or a pit in your stomach for example, as well as performing very important digestive functions. The third brain is the Gut Microbiome, which is responsible for providing 90% of body’s serotonin and 50% of its dopamine. And this new Fourth Brain is the Brain Microbiome, the microbes in our brain. Up to now, it was thought that our brain was sterile, that there was no kind of microbe inside. But in January 2013 an article was published that attracted the attention of Dr. Ruggiero: “Brain Microbial Populations in HIV/AIDS: α-Proteobacteria Predominate Independent of Host Immune Status” (1), a study of the susceptibility of people suffering from AIDS to develop infections in the brain due to their weakened immune system. In order to do this, the research team analyzed the microbes that were present in the brains of the people who had died from AIDS, and compared them with the microbes from people who had died for other reasons. To their surprise, they found that there were microbes in ALL the people, not only those suffering from AIDS! Of course, they verified that there was not a contamination. The kind of microbes that were found in the brain are different to the ones that are present in other parts of the body. In the brain the predominant bacteria is α-Proteobacteria, while in the other body parts the ones that dominate are Firmicutes, Bacteriodetes and Actinobacteria. They also analyzed the microbes in the brains of animals, and found that only the brain of primates contained some microbes, but not any other mammals. It seems that some microbes that exist in the environment, i.e., soil and water, get into our body through oral consumption or inhalation and they are transported to the brain by our immune system: lymphocytes and macrophages that are trafficking into the brain; probably in purpose, hypothesizes Dr. Ruggiero. The reason why these microbes are transported to the brain would be because it represents an evolutionary advantage. Let’s explain the benefit of these microbes. The first beneficial function of α-Proteobacteria is detoxification. Dr. Ruggiero says that some research indicates that they may help to keep the brain clean from harmful toxic products that could get into the brain. The second benefit is the stimulation of neural connections. Dr. Ruggiero conducted an experiment where brain cells were cultivated in a petri-dish with brain microbes. He found that the number and complexity of connections were increased by the presence of microbes. He concluded that “there is experimental evidence that the influence of the microbes on the neurons is immense”. Dr. Ruggiero found in another research paper (2) that probiotic supplementation promotes calcification, through the stimulation of the expression of key genes involved in ossification. He then extrapolated that research to the time where the skull fontanelles are closed. In humans this time is delayed compared to the other primates, which allows the brain to grow more, and an increased cranial capacity allows the development of a more complex neural system. He then concludes that “fermented foods (rich in probiotics) were the responsible of us to have a higher craneal capacity, more rich neural network and brain detoxification”. 1) In the first article on the brain microbiome in AIDS patients (1), living patients who had undergone brain surgery for epilepsy were also studied and considered within the control group. The rest of the control group included patients who had died from diseases other than AIDS. Interestingly, the bacteria count was much lower in these living patients than in dead patients (AIDS or control). No actinobacteria, beta-proteobacteria or gamma-proteobacteria were found in the surgical samples, while these was present in the rest of the brains from deceased patients. The amount of α-Proteobacteria was also considerably lower in the living patients. In the next table, the exact counts of each bacterial class for each case are shown as published in the article (1) , where ‘HIV’ denotes the patients who died of AIDS, ‘SUR’ denotes the patients submitted to surgery for epilepsy, and “Others” are the patients who died for reasons other than AIDS. This raises the question of whether the development of these microbes is a post-mortem effect (which would explain why the living patients have lower counts of bacteria, perhaps depending on their health). So in my humble point of view, perhaps the presence of microbes in the brain could be a sign of decay, that is, the development starts when there is some kind of disease, especially neurological diseases such as epilepsy, or after death in the case of a person with a healthy brain. It would be necessary to analyse the brain microbiome of a perfectly healthy, living person for this to be confirmed, however this has never been done, or at least published in a scientific journal. 2) Similarly, the experiment showing augmented neural connections when brain cells are in a proteobacteria-rich environment may be interpreted in a different way. It is known that slightly stressful situations, such as challenges, stimulate our intelligence. In nature, it is known that organisms who are submitted to some degree of defiant environment grow better. For example, fruit trees that grow in wild environments submitted to weather inclemencies such as strong winds give much richer fruits than the ones that grow in protected environments without wind. In the same way, an environment full of microbes constitutes a very important challenge for the survival of a cell, stimulating them to grow more and create more connections in order to solve this problem of microbial infection. Again, we cannot know for sure whether the presence of microbes is an advantage for the brain’s development or just a dangerous and stressful situation. So I think that the conclusions that Dr. Ruggiero states concerning the brain microbiome must be taken with a little caution and more research is required. One must also take into account the conflict of interests that he himself recognizes. He is the founder of a company dedicated to the development and production of advanced microbiome-based probiotics.